Marigold Green calls herself ‘hideous, quaint and barmy’. 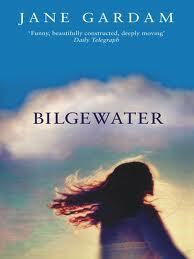 Other people calle her Bilgewater, a corruption of Bill’s daughter. Growing up in a boys’ school where her father is housemaster, she is convinced of her own plainness and peculiarity. Groomed by the wise and loving Paula, upstaged by bad, beautiful Grace and ripe for seduction by entirely the wrong sort of boy, she suffers extravagantly and comically in her pilgrimage through the turbulent, twilight world of alarming adolescence. Categories: England, Social/Family | Tags: Jane Gardam | Permalink.